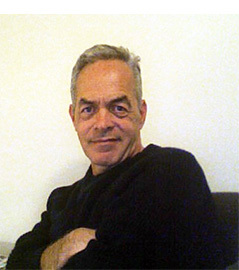 David Toomey holds a Ph.D in English Literature from the University of Virginia, where his dissertation was Dreams of Different Things: The Experience of Schizophrenia as Represented in Journals, Clinical Accounts and Fiction of the Modernist Period. With Janine Solberg, he is co-director of the English Department’s Professional Writing and Technical Communication Program. He regularly teaches courses within the program, as well as the undergraduate courses Advanced Expository Writing, Early British Literature and Culture, and Bible Myth, Literature & Society. He has taught the graduate seminars Cosmological Revolutions and 17th and 18th Century British Literature, Darwin, Freud, Einstein and Literary Culture, and The Bible as Literature. His most recent writing may be categorized as science for lay audiences. His book Weird Life: the search for life that is very, very different from our own (W.W. Norton, 2013) was longlisted for the 2014 PEN/E.O. Wilson Literary Science Writing Award, shortlisted for Physics World Book of the Year for 2013, and named an “Editor’s Choice” by the New York Times Sunday Book Review. It appeared in Spanish translation from Biblioteca Buridán in 2015 and Japanese translation from Hakuyosha Publishing in 2016. His book The New Time Travelers: a journey to the frontiers of physics (W.W. Norton, 2007) was among ten nonfiction books named “new and notable” by Scientific American in 2007, and listed among the “Best Sci-Tech Books 2007” by Library Journal. It appeared in Spanish translation from Biblioteca Buridán in 2008. Other books are Stormchasers: the Hurricane Hunters and their Flight into Hurricane Janet (W.W. Norton, 2002), Amelia Earhart's Daughters: the Wild and Glorious Story of American Women Aviators from World War II to the Dawn of the Space Age, co-author with Leslie Haynsworth (William Morrow, 1998), and Scientific and Technical Communication in Theory, Practice and Policy, second author with James Collier (Sage, 1996). Tuesdays and Thursdays: 2:00-3:30 and By Appointment.